Oh what a fun card Karren! I love it! I'm a RN and currently taking a recertification course in advanced cardiac life support while brushing up on my EKG rhythm strips. This has to be the best cardiac rhythm strip ever! See it? I'd say that you've reimagined it superbly!!! LOve this heartbeat die!!! Fabulous take on the sketch, Karren! 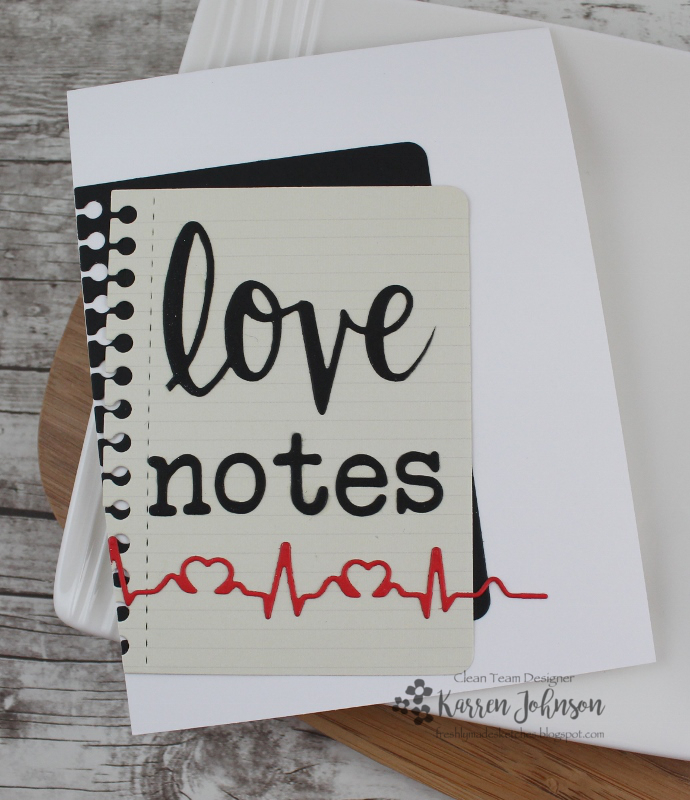 I love how you angled the notebook die cut and how you added the pop of red with the EKG strip! Very clever design! You and your diecuts made a a great card together! Love it! This is such a clever take on the sketch! And the heartbeat with the sentiment - *sigh* I don't need that heartbeat die cut. Nope. No way. This is such a great card Karren! I love the love notes and that heartbeat! It's so fun! I think I need to come and visit and play with all your die cuts!!!! 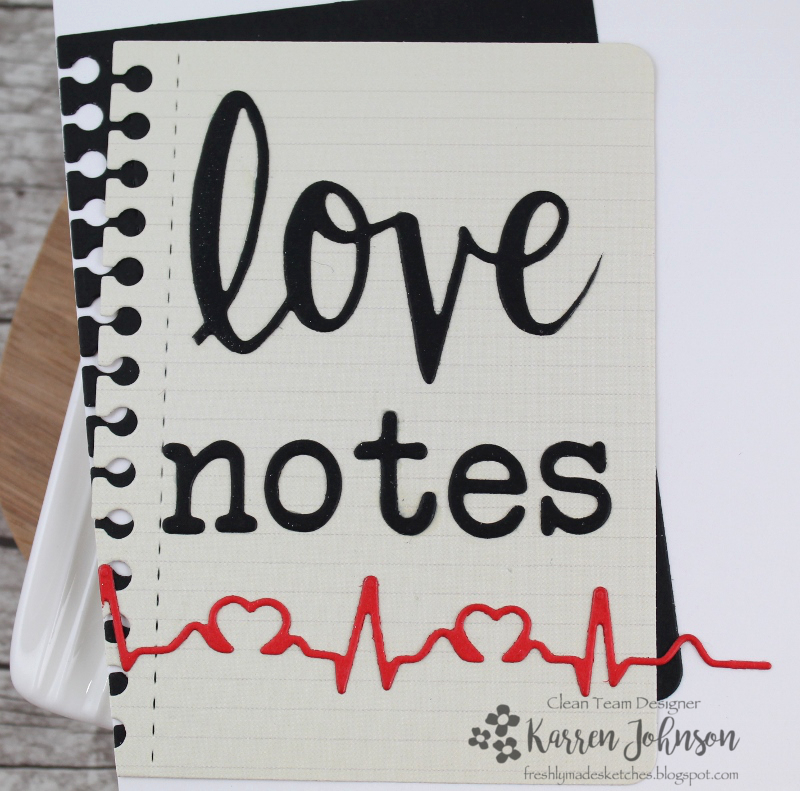 LOVE your layers of love notes!! The heartbeat is the perfect touch! Wow! Karren! This is a fabulous take on the sketch! Love that love_notes so much ! I love the notebook pages with the sketch! And that heartbeat die -- awesome! Cute card, Karren! Another brilliant sketch interpretation!! Love everything about this!! Such a sweet card Karren. Love the heartbeat die... the touch of red is perfect!